Copper-Tip has been providing leading plumbing & heating services within Fernie and surrounding communities in the Elk Valley since 2008! We take pride in providing the highest quality service to our clients. Our courteous and professional technicians deliver superior service and quality workmanship, around the clock. 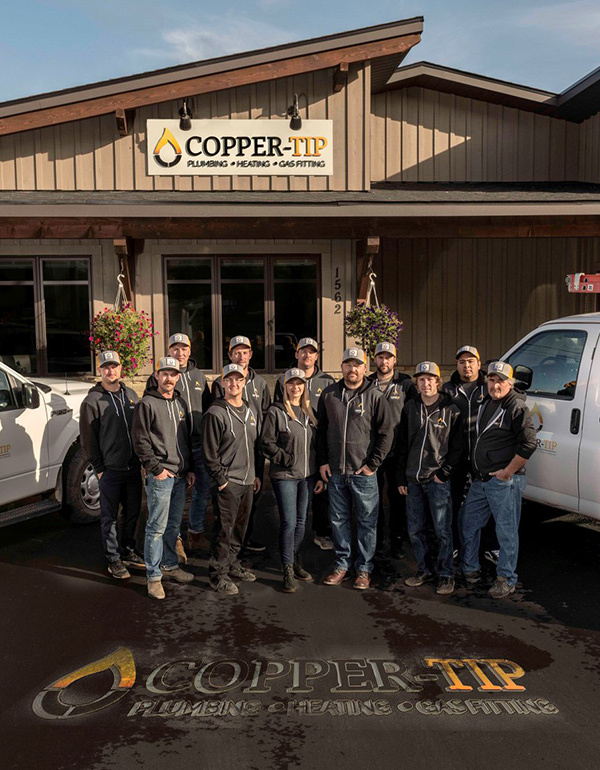 The Copper-Tip team of plumbers, heating and cooling specialists and support staff work together to ensure complete satisfaction for our clients. We work closely in conjunction with inspectors and within local regulations to ensure all work has the proper permits and is to code. Red Seal Sheet Metal Technicians. Interested in joining our team? We’re always on the lookout for experienced tradesman in Fernie, Sparwood, Elkford and surrounding communities, get in touch with us. What Else Can You Expect From Copper-Tip? Before every job, we will thoroughly inspect your issue in order to understand what’s causing the issue and how it can be solved permanently. Once we do that, we offer you a detailed quote for the job. That way, you always know what you’re paying for and why. We’re Elk Valleys Heating and Plumbing Experts!